So many companies doing great things with ethnic and recycled textiles at the moment. 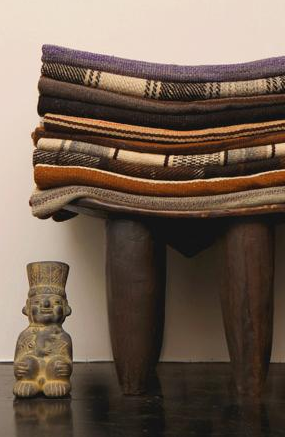 Hopefully this means, throwaway is on the wain and traditional textiles are being seen in a new light. 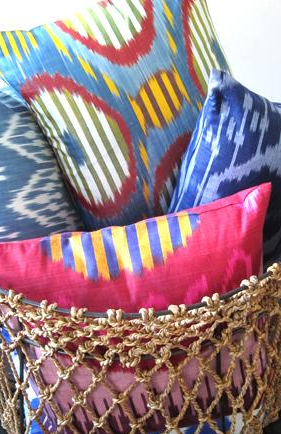 I love seeing how for example Ikat, can be given a new feel by sitting within the aesthetic of designer/brand. Toast - of course! Ikat with silk velvet, with reindeer fur, with knitted cushions and welsh blankets. 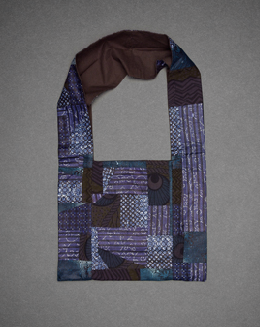 Sparrow & Co - I can't wait for Samuel to launch his on-line store. 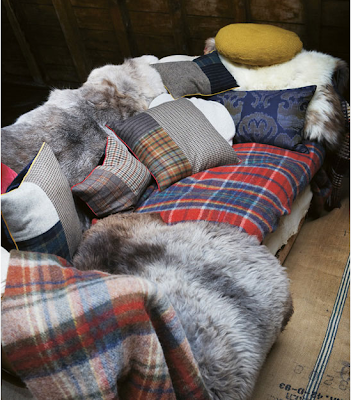 Really lovely kantha quilts in fresh new colours (I'll be getting one), welsh cushions and rare breed sheepskins. Follow him on Twitter for all the news. 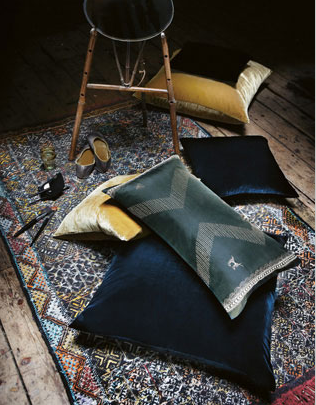 I think Laviva home are magical. 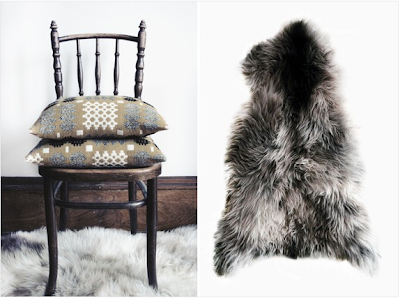 Laura has managed to make ethnic textiles fresh and new and relevant to modern homes. 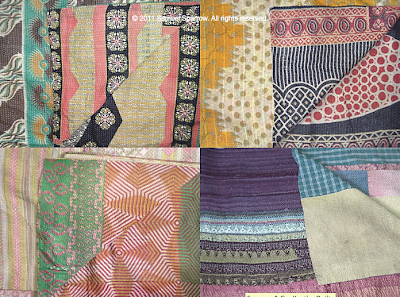 The story behind these A.P.C quilts is just super. 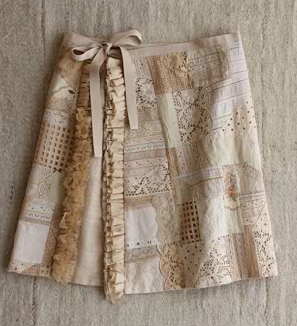 Using past season remnants they created modern quilts based on heritage craft. Watch the video here. Somebody sent these to me thinking I would be upset. Not at all - in fact I'm excited by it. 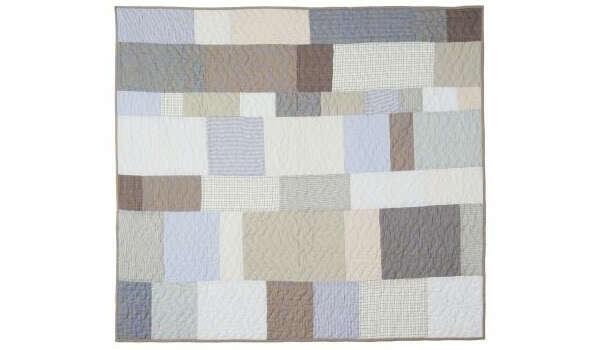 These types of quilts have been around for a long time in every quilting country and culture. 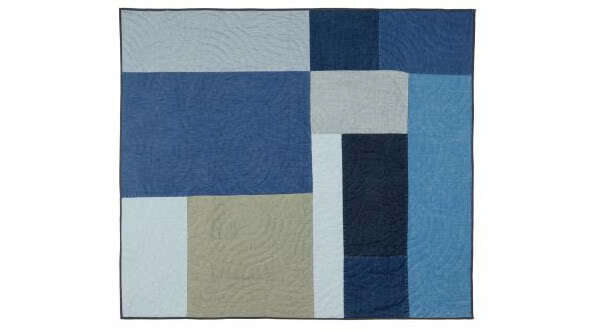 If it means this style of quilt is seen and loved, then I'm all for it. And of course - Dosa. Indian, African, Mexican etc etc. 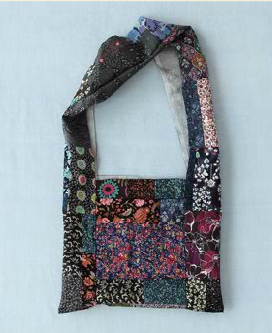 Wouldn't it be great if Christina designed and made some quilts? Expensive most definately but stunning I'm sure. All standard techniques,similar fabrics but completely different sensibilities. They'd be very lovely all in a room together wouldn't they?